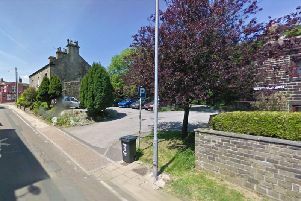 Ambitious plans for an iconic upper Calder Valley business will be discussed by Calderdale Council’s planning committee. Russell Dean Fine Furnishers, Mytholmroyd, was badly hit by flooding in 2012 and then in the devastating Boxing Day floods of 2015. The ground floor of the business was severely affected by the deluge and forced the business to move its trading operation to the first floor - a small and unsustainable space. As part of flood resilience measures for the Burnley Road store, the plans would see partial demolition of the existing store and the construction of a three-storey retail building. This would include basement parking and a first floor link to retained area of the existing retail building. Speaking to the Hebden Bridge Times and Todmorden News last year managing director Jonathan Stoker said the store could no longer secure insurance. He said there was two options for the business - leave Mytholmroyd and find an alternative site or do something with the current site. Last December, councillors agreed to award a £75,000 grant to the Stokers Ltd, which owns Russell Dean, towards the project. The grant is part of the council’s £3m fund agreed by cabinet to boost the flood recovery and resilience programme. A number of comments have been left in support and objection to the proposals on Calderdale Council’s planning site. One objector said she was concerned about overshadowing, loss of light, loss of privacy and a “detrimental impact upon residential amenities”. A comment left in support said: [The store] is a significant and important part of Mytholmroyd and should be given every encouragement and assistance to continue its past success, following the disastrous effects of the 2015 floods. The plans will be discussed at Halifax Town Hall on Tuesday February 21. The meeting starts at 2pm.